New research pushes against the common idea that addiction is habitual. Motivation, rather than habit, drives addictive behavior in the face of adverse consequences and constantly changing circumstances, new research suggests. The researchers studied how male rats solved increasingly difficult puzzles to receive a cocaine reward. 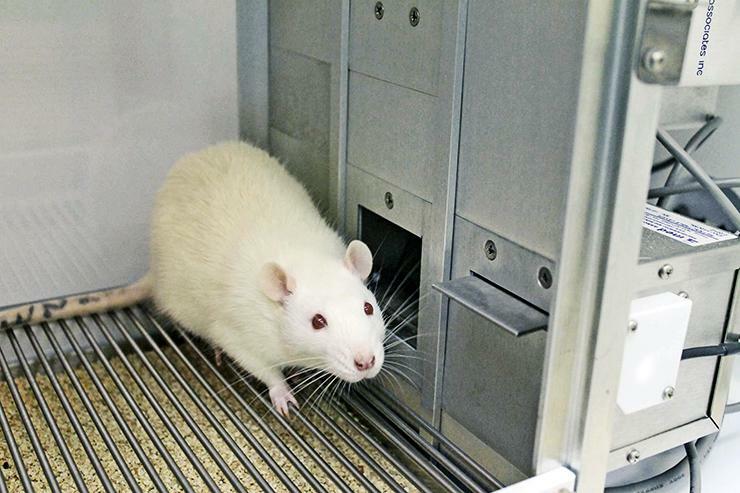 This concept differs from other studies in which rats and other animals repeat the same behavior, such as pressing a lever or poking their noses through a port, to get the drugs. Since the puzzles always changed after weeks of testing, the rats’ addiction-like behavior never became automatic or habitual, the researchers say. “We’re challenging the definition of addiction as a habit,” says Bryan Singer, the study’s lead author and former psychology researcher at the University of Michigan who is now at the Open University in England. Brain regions that are important for regulating habits were not involved in drug-seeking. “Instead, other brain regions critical to motivation controlled drug-seeking in our rats,” says Singer. The rats occupied chambers with puzzles, and they had to perform tasks (in specific orders) that included spinning a wheel, pressing a lever, and poking their nose into a hole. If they made mistakes in trying to solve a puzzle, the animals had to restart from the beginning. Successfully completing a puzzle allowed the rats to self-administer small doses of cocaine. Over the course of the experiment, the rats continued solving the challenging puzzles, the study shows. The researchers report their findings in the Journal of Neuroscience. The post Addiction may be a matter of motivation, not habit appeared first on Futurity. Behavioral addiction, especially to the new technologies so prevalent today, is the topic of Adam Alter's book Irresistible. Alva Noë proposes two criteria that may determine addiction to technology. Is The Higgs Boson Actually A ‘Portal To The Dark World’?